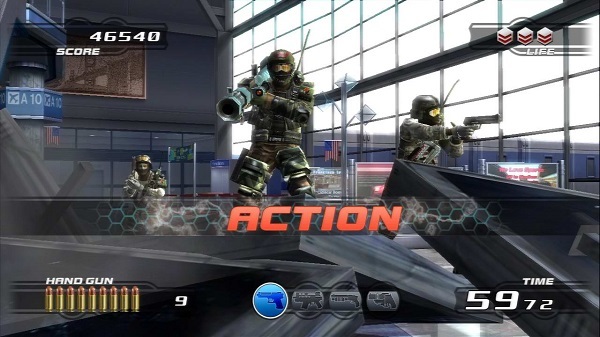 What’s so bad-good (or good-bad) about Time Crisis? It’s a light gun shooter that is inexplicably fun, but you don’t exactly want anyone actually seeing you play it. Most likely because it’s impossible to look cool while wielding a candy-colored plastic gun. 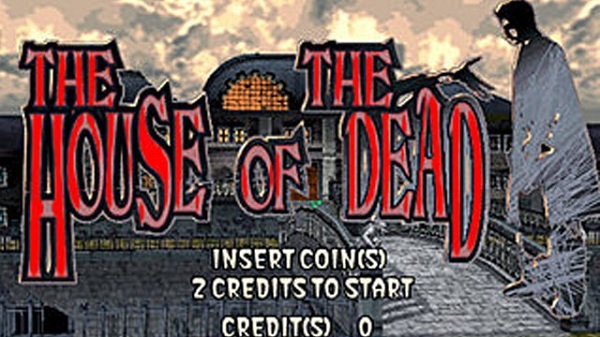 The House of the Dead has all of the embarrassing elements of Time Crisis with zombies added in. Just try not to high-five your arcade buddy while playing this. 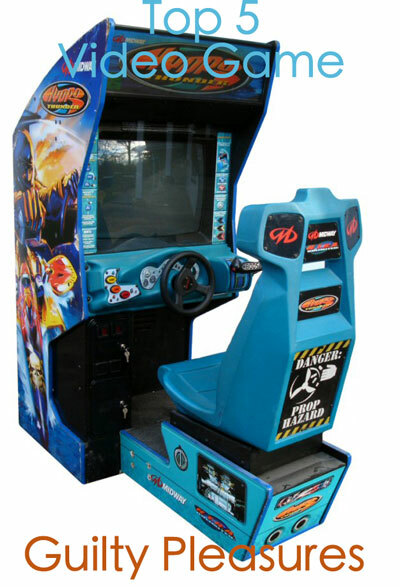 What’s there to feel guilty about when playing Hydro Thunder? 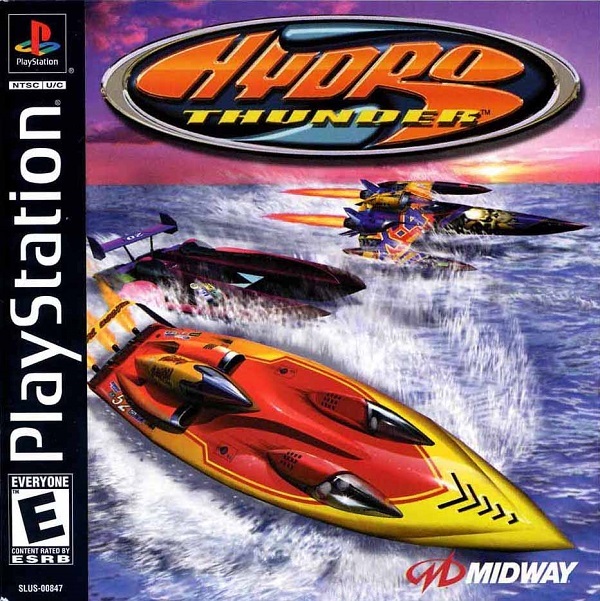 It’s a futuristic speedboat racing game that takes place in post-apocalyptic New York, you might say. To which I would reply: It’s a futuristic speedboat racing game that takes place in post-apocalyptic New York. 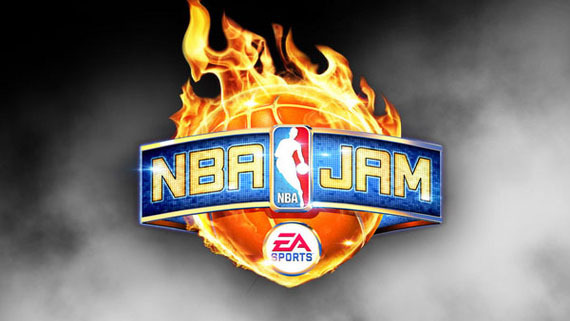 NBA jam: it’s just like the NBA 2K series but with only two players per team. With giant heads and crazy dunk moves. Also, there’s an announcer that says silly things such as ‘boom-shaka-laka’ during the game. So, it’s really nothing like NBA 2K. Still, it’s an ungodly amount of fun. It’s just you might get some strange looks while playing this when you’re over the age of twelve. 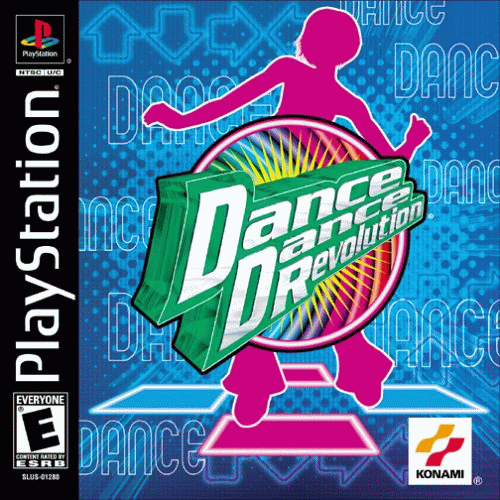 Everyone has owned Dance Dance Revolution. Everyone. Why? Because people simply enjoy hopping around to Junior Senior songs. Just no one wants to admit it. No one. What are your gaming guilty pleasures? Comment or tweet @gamebloggirl! Next Post Gamers Prefer PS4 Controller?